My husband, Ron, and I founded American Screening Corporation (ASC) in Shreveport, Louisiana in 1999. We’re now a nationwide leader in sales of drug-testing products. But my true passion lies with writing and helping people in need. My first book, God’s Love Letters: Overcoming Adversity, because a “closet hit” marketed to clients of ASC. 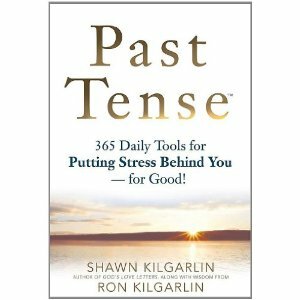 With generous contributions of life wisdom from my husband, Ron, we have completed my second book, Past Tense: 365 Daily Tools for Putting Stress Behind You – For Good. 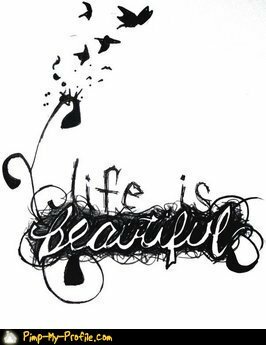 It was officially released on April 8, 2013 and a portion of the proceeds are being donated to various prisons, treatment centers, and charity organizations. In it’s 365 stories (a “page a day!”), Past Tense offers quick and practical solutions to life’s most common stressors, including daily life challenges, environmental stressors, life changes and workplace problems. The book is broken down into twenty-four sections touching on stresses across the spectrum. It incorporates wisdom from the ancients as well as modern sages, plus Biblical quotes and teachings from major religions and philosophers. We like to think the book offers down-to-earth advice for people of all ages and from all walks of life. We’ll likely never be rid of stress completely, but in my own small way, I’m trying! Shawn V. Kilgarlin is a writer, speaker, and Chief Operating Officer of Louisiana-based American Screening Corporation (ASC), a nationwide leader in drug testing products since 2004. In 2011, she was named a Cambridge Who’s Who Professional of the Year in Health Care Support. 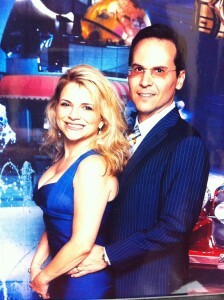 Ms. Kilgarlin’s husband (and co-author), Ron Kilgarlin is ASC’s CEO and an internationally recognized sales expert. Their company has helped over a million people deal with the plague of substance abuse. While unusually active in her industry and community, Ms. Kilgarlin’s true passions are writing and helping those in need. She is the author of the book God’s Love Letters: Overcoming Adversity. Past Tense is her second book. Ron Kilgarlin is founder and Chief Executive Officer of American Screening Corporation. He no stranger to adversity, under extreme conditions, and with his father’s sound advice, he sold off an underperforming company. On January 2004, Ron started American Screening Corporation, in his parent’s sunroom. Under his direction, 9 years later & with the help of his wife Shawn Kilgarlin, COO, ASC is now the #1 Rapid Drug Testing Company in the United States. In 2009 his company was awarded by GSA, a contract, to sell to federal government agencies. ASC is ISO 13485 Certified, specializing in the manufacturing and distribution of Rapid Drug & Point of Care Tests, serving US & International Clients, including Medical, Corrections, Retail, Direct Consumer, Commercial, & Government Markets. ASC has Free Sale Certificates in 27 foreign countries, Health Canada, Saudi FDA, & Iran OFAC license. Ron is a drug testing expert helping over 1 million clients fight the plague of drug & alcohol addictions. 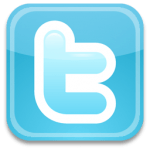 Ron is an internationally recognized sales & internet marketing expert. He led the creations of www.americanscreeningcorp.com, which is the premiere website to purchase drug & health tests, with over 4000 products and growing. Ron has recently accepted a position on the board, for the Louisiana Economic Development Council, as Ambassador, for executive’s considering expansion or relocation. His love for writing started years ago as he kept a journal for self- improvement. His goal is to reach out, inspire, and connect with the world, sharing his personal stories of hardship, and researched studies on techniques for self-improvement. While not working Ron enjoys spending time with his beloved family, traveling the open road, smoking fine cigars, reading, & writing. Stress Relief is right here, in your hands. Don’t worry, we have you covered. Designed for easy reading and fast relief, Past Tense gives you 365 engaging “page-a-day” stories to put your stress to rest. Each one brings you a healthy does of feeling better every day of the year. Sprinkled with inspiring quotes, thoughtful sayings and profound wisdom from the world’s great philosophers, modern thinkers, and major religions, Past Tense give soothing, down-to-earth advice for people of all ages. Use it to get “past tense” right away – and stay that way for life! Work Stress. Management Stress. Money Stress. Life Stress! Fundamental understanding and management of stress is within your grasp. With its 365 engaging, “page-a-day” stories, Past Tense offers a healthy dose of stress relief for every day of the year. The book covers every stress-generating scenario imaginable while teaching: the full impact of stress on your life; how to react to any crisis with composure; ways to read the warning signs of stress burnout; and tips on becoming a master of new behavioral patterns that help you live a highly stress-reduced life. Sprinkled with quotes, sayings, and profound wisdom from ancient philosophers, modern thinkers, and the world’s major religions, Past Tense offers down-to-earth, common sense advice that speaks powerfully to readers of all ages and cultures. Use this lively stress-handling encyclopedia to get “past tense” and stay that way – for life! April 23, 2013 in Uncategorized.